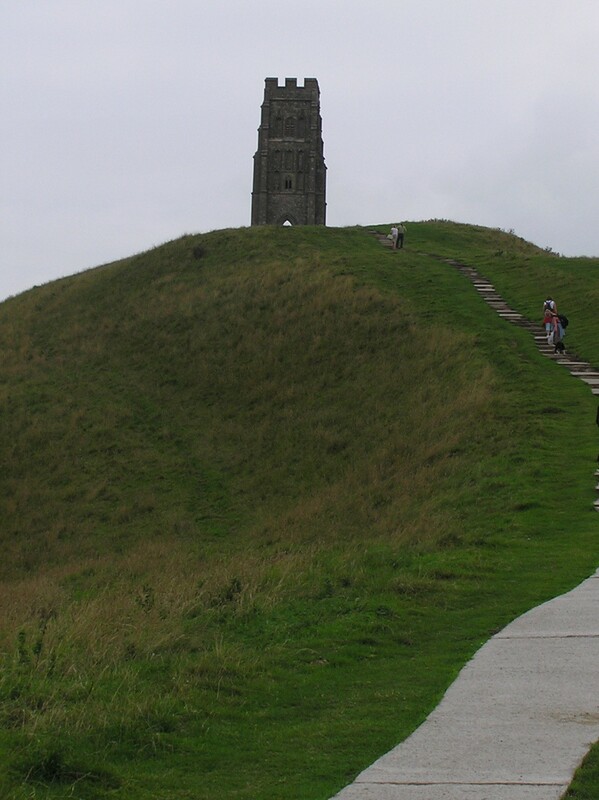 Glastonbury Tor, UK. The nearby Chalice Garden is one of the possible hiding places of the Holy Grail. Durham’s presentation included her Jungian analysis of the palace of the Fisher King as an intersection between the outer world and the inner world of the authentic person, with Perseval (whose name may be interpreted as “pierce the veil”) serving as the link between the two. She spoke of the story in symbolic terms, attaching psychological significance to the various elements. There used to be a local conference, The Joseph Campbell Folk Festival, devoted to a similar thing: how do myths interact with our lives, how do they reveal personal meaning, why do they have so many things in common? I don’t mean to sound cynical–far from it. It’s just that the researchers, and the audiences, often speak as if there is either some great spiritual significance or perhaps a deliberate act on the part of the story-maker to portray the human inner life through the tale. From the author’s perspective, the experience of story is rather different. I have often found this type of mythic resonance arising spontaneously within my work. It could be argued that, as an author, I’ve been exposed to more of this material, so I tend to mimic it. Or that, as a student of structure, I tend to adopt it, even subconsciously. Or perhaps that the reason I became a writer, is that I am already attuned to the deeper levels of the psyche. I think the truth is both more, and less, than that. I tend to subscribe to recent thinking about the brain suggesting that humanity is wired for story. We are story-seeking, story-creating creatures because the ability to speculate and project what might happen was an adaptive skill for a naked ape in a dangerous world. We have now adapted this biological utility to serve the function of deliberate entertainment and teaching, often at the same time. So when I write about a character who initially “refuses the call” as in Campbell’s Hero’s Journey, on one level, I’m just writing about a guy who, like any of us, is fearful about change in his environment. Like any of us, he resists it and has to be seduced into accepting in. If this guy has to take a journey through the darkness, maybe a cave, for example, I am playing upon our innate fear of the dark and the dangers it holds. I am tweaking my social-ape reader’s desire to be with others, not alone, to be safe. And when he emerges wiser and stronger, that’s because all of us want to believe that we will learn from our experiences, that we are capable of greatness, and that, if we achieved this new knowledge, we would share it with the world. Piercing the veil? Why not? Who wouldn’t like to be the one who stands between, who discovers something amazing and is able to share that with the outside world? One of the reasons speculative fiction writers write this kind of material is to interact on the page with the notion of secret or forbidden knowledge, sudden insight, and leaps of faith or intuition. I don’t think most of the authors I know are thinking about the role of the sub-conscious in mediating between the outer world and the inner, authentic self, however. And yet. . .all that I’ve said, and my experience with developing story, suggests that my subconscious is mediating something deeper. . . that, when I write, I am excited about the adventure, caught up in the character, hoping to pierce whatever veil lies between truth and fiction and show something more beyond it. And my subconscious is doing the work. It is providing me with plot turns, character traits and symbols that, when examined years later by myself or some inspired reader, will map beautifully onto exactly the kind of structure that Diana Durham spoke of. Because, after all, while they pick up my book for the action and the character, it is that deeper layer that will keep readers returning to my work over and over again; startling resonance and a sense of discovery will encourage them to recommend the books, and to eagerly await the next one.. And that, to any writer, is indeed, the Holy Grail. This entry was posted in essays, fantasy, fiction, history, magic, medieval, Uncategorized, writing, writing process and tagged Arthurian legend, Diana Durham, Jung, Jungian analysis, King Arthur, The Holy Grail. Bookmark the permalink.